Join the Stonehenge Cycle Challenge and pedal into history. In September 2013 members of English Heritage will be able to take part in an exclusive sponsored cycle ride, which traces the route of the Stonehenge bluestones from Wales to Wiltshire. This sponsored ride, open to both individuals and teams, will raise much needed money to help fund improvements to the unique prehistoric landscape surrounding Stonehenge. 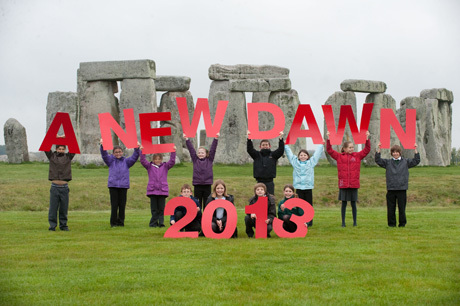 Or why not support Stonehenge without breaking out into a sweat by donating online. 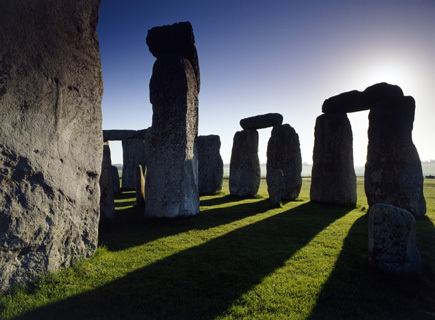 Celebrate World Heritage Day at Stonehenge and Avebury. World Heritage Day is celebrated annually on 18th April. This year, (also the 40th anniversary of the World Heritage Convention), English Heritage experts are on hand to help you discover the prehistoric landscapes at Stonehenge and Avebury and to show how World Heritage Status is helping to conserve them. Stonehenge and Avebury became a World Heritage Site in 1986 for their outstanding prehistoric monuments dating from around 3,700 to 1,600 BC. The stone circle of Stonehenge is recognised throughout the world and the site is very special. The 2,600 hectares of surrounding landscape contains 350 burial mounds and prehistoric monuments such as the the Cursus, Woodhenge and Durrington Walls. Part of this landscape is also managed by the National Trust. Avebury is the largest prehistoric stone circle in the world. The site includes Windmill Hill, the West Kennet Long Barrow, the West Kennet and Beckhampton Avenues, the Sanctuary, Silbury Hill (the largest prehistoric mound in Europe), the West Kennet Palisaded Enclosures, and important barrows. The event is from 10am to 6pm on April 18th and tickets cost £35 (includes refreshments). Booking via English Heritage is essential: 0870 333 1181. What is World heritage Day ? World Heritage Day 18th April 2012 – Get Involved! This year’s theme has been chosen to mark the 40th anniversary of the UNESCO World Heritage Convention, which was adopted in 1972. The focus will be on “World Heritage and Sustainable Development: the Role of Local Communities”. World Heritage Day (International Day for Monuments & Sites) was created in 1982 by ICOMOS (International Council on Monuments & Sites) and was later approved at the UNESCO General Conference in 1983. 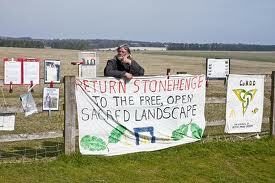 Plans to close the main road east of Stonehenge and return it to grass are being scrutinised at a public inquiry. “restore the dignity” of the World Heritage Site by closing the A344. Those opposed include chief druid Arthur Pendragon who has argued that it would give English Heritage a monopoly on access to the site. The inquiry in Salisbury, Wiltshire, begins on Wednesday. 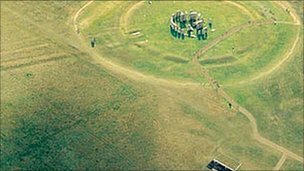 In June 2010 Wiltshire Council granted planning permission for a new visitors centre at Airman’s Corner, 1.5 miles (2km) west of Stonehenge. Under the current scheme, the existing car park and visitor facilities at the stones will be removed and the area “returned to grass”. English Heritage has said it will be necessary to close the A344 between Stonehenge Bottom and Byway 12 and close part of the B3086. A new roundabout will replace the current Airman’s Corner junction to cope with the increased traffic caused by the road closures. The Longbarow Roundabout on the A303 will also be improved. English Heritage said it believed “everyone agrees that Stonehenge’s landscape setting is severely compromised by the intrusion of roads and traffic”. Mr Pendragon said he was strongly opposed to the proposed traffic regulation order to restrict motorised vehicles on the remaining A344 west of Stonehenge and on two nearby byways.